Larson Rec will be holding a Halloween Carnival Oct 22, 2011. Join them in a variety of games including Go Fishing, Token Toss, Plinko, Pumpkin Toss, Pumpkin Patch, Pumpkin Decorating, Cookie Decorating, Cupcake Walk and Scavanger Hunt! Laketown Landings annual event will be taking place on Monday October 31st from 5-7. Takes place on 3rd Ave from Alder St to Beech St.
QUINCY – The Santa Clara, Calif.-based Vantage Data Centers selected Quincy as its first data center in Washington state because of Grant County’s affordable hydropower. “Energy efficiency has a very big payoff for the companies and the communities,” said Greg Ness, the company’s vice president of marketing, on Thursday. Already space is entirely leased out for the first building, he said. One of Vantage’s clients is a Fortune 50 manufacturing and technology company whom Ness declined to identify due to a contract agreement. The Quincy groundbreaking is set for October for the project’s first phase on Road 2 N.W., Ness said. It is expected to open in August. Vantage’s tenants in its Enterprise Technology Center have space to house up to 100 employees, according to a prepared statement from Vantage. The company customizes buildings for clients by working through an extensive collaboration and customizing process, Ness said. Vantage’s work helps reduce risk for its clients, as it is used to working with many public entities on projects’ regulatory aspects. The first wave of work comes with construction jobs, with the next layer being the delivery of specialty gear. Then work begins from building management control, system administrators and information technology (IT) architects. The project has three phases. They include the building of the 105,000 square-foot Enterprise Technology Center and an extra 235,000 square-feet of data center space. “Vantage Quincy will take what we accomplished in Santa Clara to a new level of scale, customization and innovation,” stated Jim Trout, Vantage Data Centers’ CEO. Quincy Mayor Jim Hemberry said he is happy to see another data center coming to town, because of the additional sales tax and property tax revenues. Extra sales tax revenues helps Quincy improve its streets and parks. The town is also building a new library. Property tax revenues can be used to fund ongoing projects or add extra employees. Quincy hired a recreation director to start a recreation program, a full-time engineer and a police captain. “It’s very beneficial from a monetary standpoint,” he commented. Housing is another area experiencing improvements in Quincy. When Microsoft, Intuit and Yahoo! built their data centers, there was an increase in housing starts. Other computing companies have seen the advantages of Quincy’s affordable land and power, including Intuit, Sabey, Microsoft, Yahoo! and Dell. Vantage’s property is next to the Port of Quincy’s Industrial Park 4, Pat Boss, of the Port of Quincy, said. Moses Lake takes the first steps toward building a sustainable manufacturing base for the next century. No offense to the good people of Moses Lake, but the adjectives “quaint” and “charming” are not likely to be employed to describe it. This Grant County town doesn’t have a district of century-old brick buildings with cute boutiques and wine-tasting shops to cater to the west-of-the-mountains set. There’s no “Olde Towne” or its equivalent to make for lovely photos in travel magazines and tourism brochures. 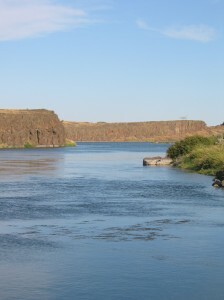 Fortunately for Moses Lake, it’s not banking on quaintness and tourism to drive its economy. Instead, the town is making a living the old-fashioned way—with huge manufacturing projects. The highest-profile economic-development news of 2010 in Washington was the announcement by two German companies, BMW and SGL, of a $100 million plant to make carbon fibers for automotive parts. And even before construction was finished with the first phase of that facility, BMW and SGL disclosed they are considering two expansion phases that would triple the production capacity of the Moses Lake unit. As significant as that announcement was, it wasn’t even about the biggest investment in Moses Lake. That was the $1.7 billion that REC Silicon, part of a Norwegian company, has spent the past four years on a two-phase expansion of its Moses Lake plant to produce polysilicon and silane gas. And those investments aren’t the only ones. In recent years. Katana Summit opened a plant to make windmill towers in Ephrata. Norco Inc. built a gas-separation plant. Morse Steel Service opened a metal-fabricating operation. Development work on two other projects—Guardian Fiberglass’ plant to make insulation and Specialty Chemical Products’ facility for producing precipitated silica and fluoride salt—slowed considerably in the recent recession, but the Grant County Economic Development Council says both projects are still active. The mix of construction employment, jobs at manufacturers throughout the county and the influence of agriculture (a comparatively stable sector in the downturn) has produced an unemployment rate for Grant County in October of 7.6 percent—not great, but certainly better than the 8.5 percent reported for both the state and King County. There are many lessons in the Grant County story, starting with the point that even in a recession and in the midst of supposed terminal decline for American manufacturing, considerable opportunities remain for landing the big project like BMW/SGL or REC Silicon. Furthermore, Washington state is not out of the running for those big projects, despite our geographic isolation in a low-population corner of the map and the supposed paucity of incentives to be offered. BMW/SGL and REC Silicon didn’t come to Washington or Moses Lake for the incentives (although they won’t wind up empty-handed, either), or to be close to a supply of raw materials or their customers, most of whom are out of state or overseas. Instead, these companies came for inexpensive, developable land with good transportation access and cheap electricity from the region’s hydropower system. Which brings us to yet another economic-development issue—how do you use an economic resource like lower-cost power? One approach currently in favor is to use it for server farms, and Microsoft, Intuit and Yahoo are all building data centers in Grant County. While server farms do provide a short-term boost in construction employment, they don’t generate a lot of long-term jobs. On the other hand, plants like BMW/SGL and REC Silicon provide the base for future industry clusters. With these two projects, Grant County has tapped in to two industries with huge growth prospects—carbon-fiber composite materials and the ingredients used in solar-energy panels, hybrid-vehicle electronics, flat-screen TVs and other consumer electronics. It has also plugged itself directly into global investment and trade. Establishing that base was the first challenge for the state, Grant County and Moses Lake. The next challenge is figuring out what to build on that base, and how to make it viable. That’s a big challenge—but getting the answers right should in the long run prove far more economically productive than gussying up the business district with some banners and planter boxes in the hope of getting tourists to slow down long enough to drop a couple of dollars. I found this article intriguing for a number of reasons but mainly as all the data centers keep coming it can’t help but bring growth in the aftermath. An aerial view of Quincy, Washington showing the cluster of major data centers, including a visualization of a planned site for Sabey Corp. and existing sites for Microsoft, Yahoo and Intuit. (Image: Sabey Corp.). Dell has purchased property in the growing data center hub of Quincy, Washington in connection with a secretive data center project known as “Project Roosevelt.” County records indicate that Dell Marking LP has paid $3.6 million to purchase a property in the Port of Quincy from Michael and Marsha Rodgers, according to local media. Officials with the Port of Quincy have confirmed that the deal is related to Project Roosevelt, the code name for a data center that could include grow to 250,000 square feet over time. The initial specifications call for 7 megawatts of power, ramping up to 30 megawatts over time. The search also considered sites in Douglas County. With its location in east-central Washington state, Quincy is ideal for “free cooling” (using fresh air to cool servers) and has a ready supply of cheap hydro-electric power, which is coveted by data centers for its relatively low carbon impact. The small farm town has become home to major data centers for Microsoft, Yahoo, Intuitand Sabey Corp.
A water right is: A right to a beneficial use of a reasonable quantity of public water for beneficial purpose during a certain period of time occurring at a certain place. (Considered a “Use” right). There are 2 different types of water rights, surface and groundwater rights. If you have the right to divert water from a river, stream etc, you have surface water rights. If you have the right to pump water from a well you have a groundwater right. Many of the same things apply to both of them but there are also some important differences. The term “beneficial use” us one of the most important terms in water rights. It is both the measure and limit of a water right and the purpose for which that water is used. Your actual water right is determined by how much water you and your predecessors have historically used. If your historical use is less then what is stated on the water document your right is limited to the amount that has actually been used. The Priority date is also an important term in valuing a water right. A person who established a water right first has a senior priority and the right to divert all of their water before the person with the next junior right can take any of their water from the same source. It is important to know within Grant County your water rights and how they were established. Make sure you find an experienced agent in Moses Lake who understands all the nuances that come with having water rights or your property could be all dried up. We have all been hearing a lot about this Loan Program lately. It seems every offer I get nowadays requests a USDA loan and I thought it would be great if we all had a little more information about these types of loans. The USDA is a guaranteed loan program that can offer buyers 100% loans much like the 80/20 loans of the past. This is a government backed loan program that has no private mortgage insurance requirement and has more flexible qualifying guidelines that allow more people to affordably purchase their homes. There are also no maximum loan amounts on these loans like the FHA guidelines have. One of the first requirements that these loans have is that the property must be purchased in a eligible property area. Second is that you must meet certain income eligibility requirements, there are lower credit scores allowable on this program as well. Be aware however that your closing costs can be more with this loan as they take the mortgage insurance premiums and charge them at the beginning of the loan instead of throughout the loan. Lenders however will let you finance this fee if you need to. If you would like more information on USDA loans and how they can help you get into a home feel free to call at 509-760-7733. So today the Commissioner announced some changes that are in the pipeline for FHA mortgages. Since I would say today in our area 3 out of every 5 mortgages are FHA this will impact a lot of us in this area.For new borrowers to qualify for a loan if they have a 580 credit score they must now put 3.5% down on the transaction. For someone with a lower score they will have to come up with 10% down on the home. 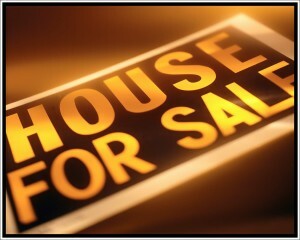 The FHA has decided to raise up front mortgage insurance costs from the borrower from 1.75% to 2.25%. They are also requesting permission to increase the maximum MIP that they can charge. Does it suprise you that an insurance company wants to increase rates? Doesn’t suprise me a bit! 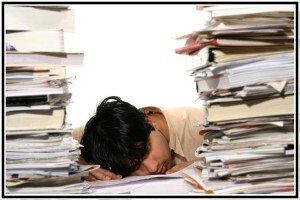 For new borrowers to qualify for a loan if they have a 580 credit score they must now put 3.5% down on the transaction. For someone with a lower score they will have to come up 10% down on the home. The bigger change is that sellers can now only contribute 3 % on an FHA sale which is down 3% from what we’ve normally used at 6%. It seems they want buyers to have a bigger financial stake in their home by them having to actually put money into it upfront. FHA loans have gone from a low of 3% of all totals loans to now a high of 40% of all loans. Here in Grant County that is now probably a estimated of about 75% of all loans so this will impact a majority of our loans in some way. The biggest impact we will see in our area from this is the loss of 3% of seller contributions. Some people to qualify for a loan need the full 6% to actually qualify for the loan as they don’t have all the needed cash to close. This will affect how many buyers are out there buying homes here in Moses Lake. As well as offering you those opportunities of learning the history of the Columbia Basin they also offer weekly classes for you or your family on ever revolving topics that may interest you. 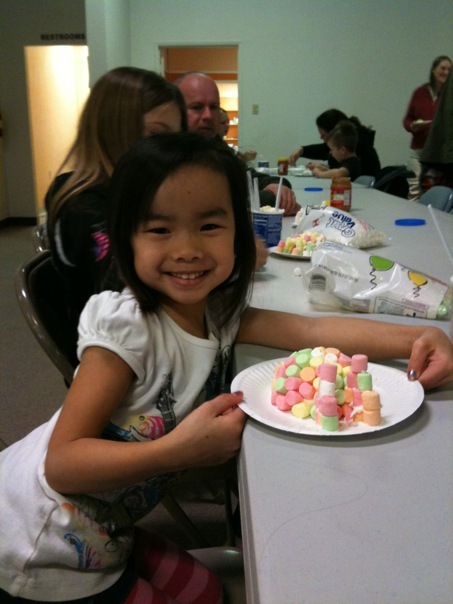 Just two weeks ago I was able to take my kids to a Family Free Saturday where they made igloos out of marshmallows! Coming up on January 23 they are offering a class on Origami. Within the quarterly brochure that goes out to all families in Moses Lake from the Moses Lake Parks and Rec Department you will find a full schedule of all the classes offered by the museum for you and family. Once a month they offer a Family Free day for you and your family to enjoy. Don’t miss out on the opportunity to fully take advantage of all the community has to offer!